I started making a Joy Fold Card in early November using my new favorite color combination Elegant Eggplant and More Mustard. 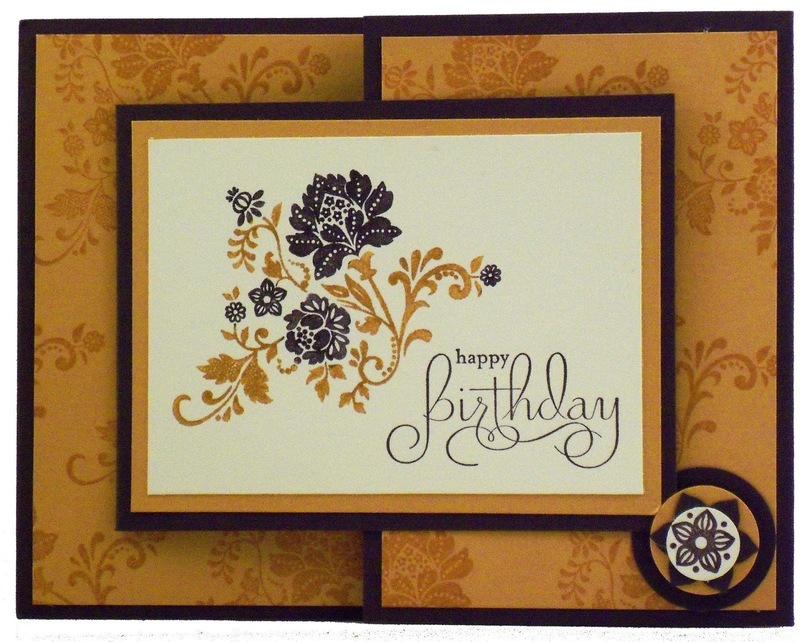 I prepared are the cardstock layers and I drew a blank on what stamp set I should use. I pushed the cardstock pieces aside and waited, and waited, and waited until last week. Over two months to create one card - seriously?? I am glad I didn't toss the cardstock pieces into my scrap bin to be used for another project. Circle - 1", 3/4" and 1/2"
I loved the card so much; I thought it would make a great Valentine's Day card using Basic Black and Real Red cardstock. Main Card inside measures 5 1/4” x 4"
The 1" circle is glued to front of the card on the the right side of the card. Layer together the 1/2" circle onto to the Boho Blossom flower, then glue them onto the 3/4" circle punch out. Place a Dimensional on the back and attach to the 1" circle already glued to the card. There are so many ways you can create a closure. Check out my other Joy Fold Cards for more closure ideas.